This tutorial will explain how to implement custom Skies to your map, making your map more interesting and unique. For instance, if you're creating a cinematic or a campaign or any other project having a good and fancy setting, then having a custom sky will also be good. 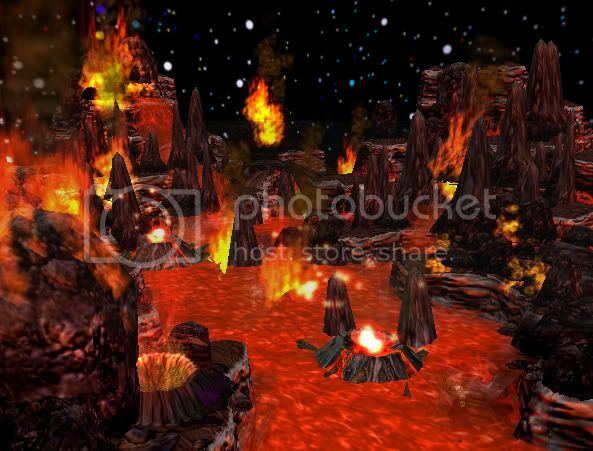 This is also good for uploading fancy Terrain Art in various sites. You should always have a nice photo editing program that can edit and save textures and save .tga files. I use adobe for this tutorial. There are others out there like InfranView, Paint Shop Pro or The Gimp. Use any tool that can save .tga files. Blizzard uses .blp files as textures for the sky models. Wc3 Image Extractor can convert .tga to .blp files. You also need this to extract the Sky image. Go get it here. Open Wc3 Image Extractor II. Then go to the Environment\Sky\ path in either of war3.mpq or war3x.mpq. War3x.mpq or the expansion Mpq has also lots of fancy textures so go have a look at them. There you'll see alot of sky textures. For this tut I'm going to use the Dalaran Sky Texture. You can use any texture. Then save Environment\Sky\DalaranSky\DalaranSky.blp (or what you've chosen) as a .tga file. It's time we edit the sky texture. Open up Photoshop. Click File ---> Open. Open the sky texture you've just exported recently. This step is completely a matter of artwork. If you want good-looking skies please click the link below. Or just experiment with Photoshop and it's tools, etc. Try and try until you get good results.. My sky ended up like this. I made it simple for the purpose of this tutorial. After texturing, save the image as a Targa (.tga) image. You can choose either 24 bits or 32 bits per pixel. 24 saves some space without losing too much detail. To convert it into a BLP file, open Wc3 Image Extractor II. Click Open ---> Image. Open your custom sky texture. Click Save then save it as a BLP file and make sure having the same filename as one of the sky textures discussed above. Choose 75-100 numbers in the JPEG Compression dialog that shows up after you saved it to preserve quality and reduce filesize. Open your World Editor and create a map or open an existing one. Open Import Manager. Import your sky texture and set the paths into any of the paths below. 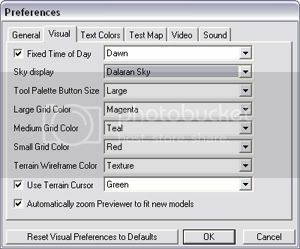 Environment\Sky\DalaranSky\DalaranSky.blp: You must use Dalaran sky in Preferences Dialog or triggers to show up. Environment\Sky\FelwoodSky\FelwoodSky.blp: You must use Felwood sky in Preferences Dialog or triggers to show up. 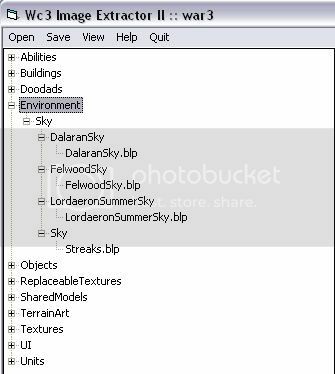 Environment\Sky\LordaeronSummerSky\LordaeronSummerSky.blp: You must use Lordaeron Summer sky in Preferences Dialog or triggers to show up. Environment\Sky\Outland_Sky\OutlandSkyNew.blp: You must use Outland sky in Preferences Dialog or triggers to show up. Then save (ctrl+s) your map..
To implement and use the sky in your map, there are two ways. - Go to File>Preferences>Visual>Sky display. Set the correct sky display. For example if you imported your texture as a Dalaran Sky texture (DalaranSky.blp), then use the Dalaran Sky. This applies to all other skies. 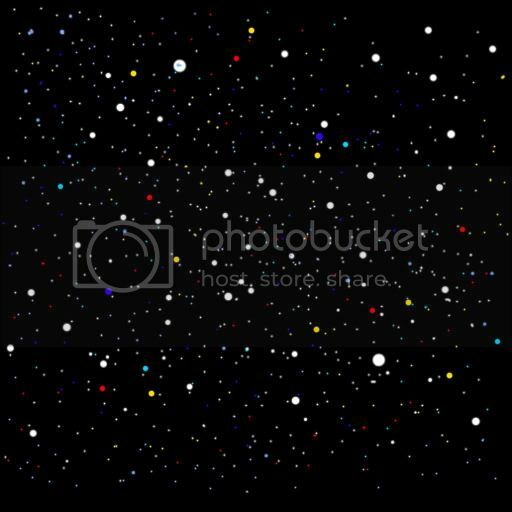 Here's my newly created sky, an 'outer space' sort of sky. Your sky might also have good results. Just try. As I said, drawing real skies w/ clouds and lots of tiny and residual details is hard, you need to search for tutorials or better yet, google some pictures for the sky you're gonna make.